70 X 6 X 2 cm each. Guianas. 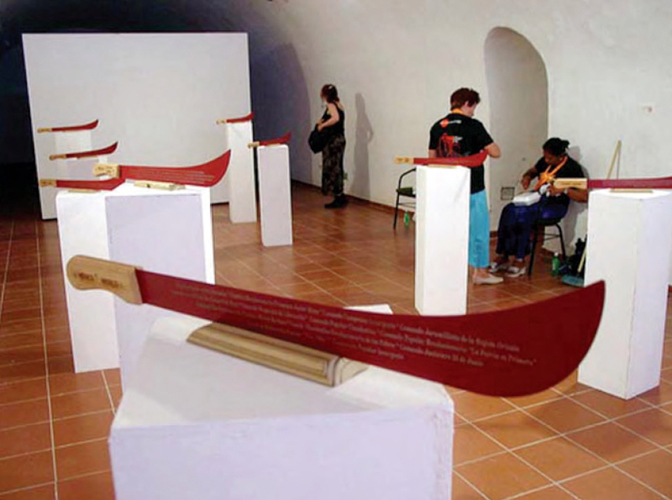 The handles of each machete are emblazoned with the name of the countries that correspond to the groups. Rather than a homage to the guerrillas, the installation pretends to be an informative piece that maps out the insurgency and popular fight history in America.